Although I am a recent ex-sugarholic, I have been experimenting with gluten-free and dairy free baking for the last 6’ish years as I’m intolerant. So, what have I learned so far? That normal wheat flour largely consists of 12-14% gluten, that gluten has an elastic toughness that holds its shape during baking. It also acts as a thickener, adds texture, absorbs moisture and lends flavor to the baking. 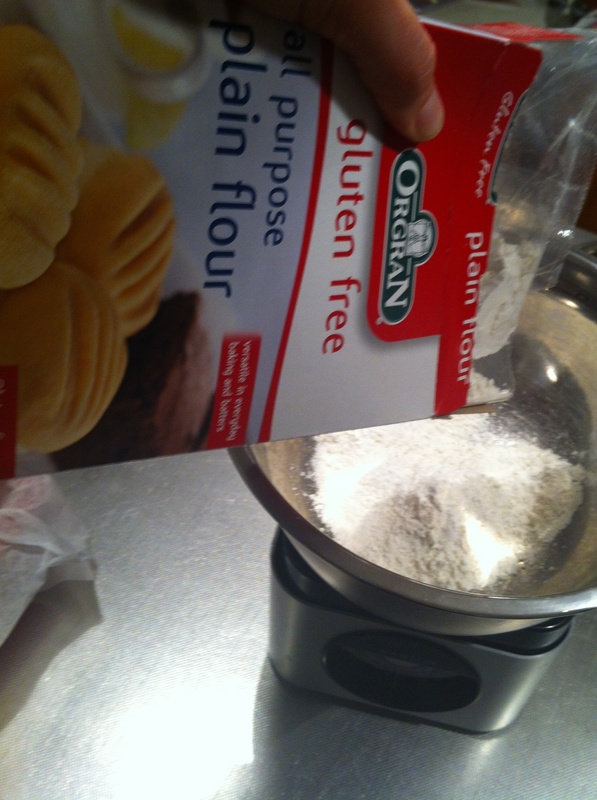 So, baking without gluten could reduce your lovely bread, cake or muffins to crumbles as soon as you touch it! Baking gluten-free goods requires a lot more precision that ‘regular’ baking – 1 tsp too much or too little might make your recipe a horror rather than a delight. If you are following a recipe, it should be to the letter (so if it fails the first time, try again and be more accurate – also pay attention to the differences in measurements between countries – the metric cup is used for example in Canada, Australia and New Zealand while the UK uses imperial measurements largely). If you are creating your own recipes, it’s all about trial an error and doing some research. 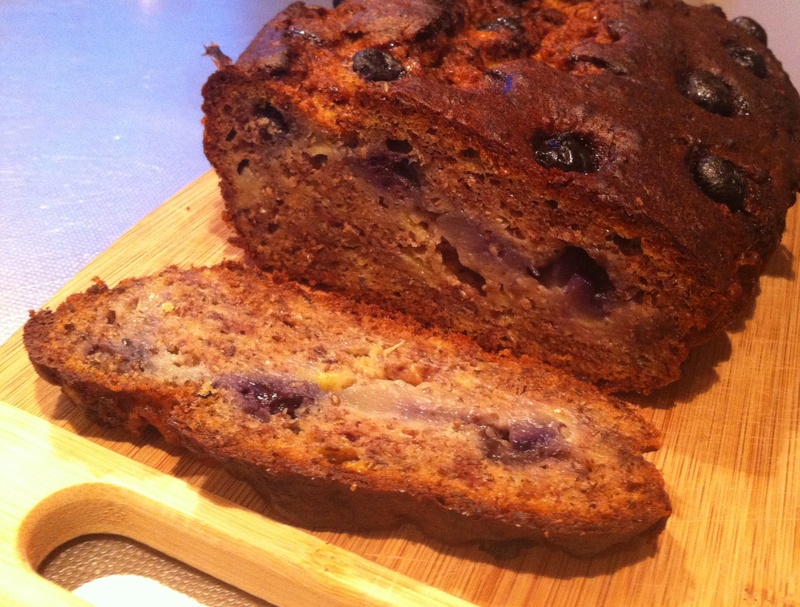 But, then, it’s a whole new world of baking deliciousness that opens up to you! This is where Xanthan gum enters the picture. Xanthan gum acts in many ways like gluten and keeps your recipe from falling apart and can imitate the spring in bread and light fluffy recipes. It is made by fermenting corn sugar with a natural strain of bacteria that in the end creates a white powder. No research has found it to be bad for your health, only good (although I have found mentions of caution in ingesting over 15 grams per day – so unless you scoff down all your baking yourself you are fine ;)). Just a note on allergies – if you are allergic to corn, you could swap straight over for Guar gum. This gum has the same properties as Xanthan gum but it’s made from legumes rather than corn (the amounts in the table above still applies). Want to get some? Head to most big super market chains where you can find this in small containers in the baking aisle. If you are having trouble finding it (in some countries it’s a lot harder than others) you could always order from online US company iHerb. You can use my code DBL588 at the check-out if it’s your first time and you get up to US$10 off if you want. I order all my nuts, seeds, gluten-free oats, specialty flours, Xanthan gum etc from them as it’s about 10-30% cheaper than buying it in NZ, I can get everything organic and this even includes postage + I don’t have to chase through four different shops to get everything I need. This loaf was divine, moist and as one of my colleagues said “different texture and deliciousness in every bite”. 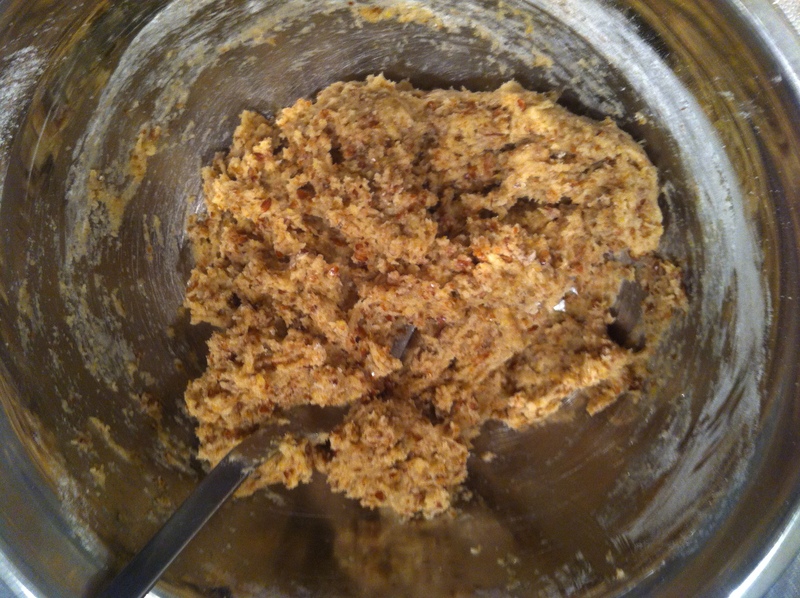 I have started towing all my experiments in to work to see how they fare with “regular” people (sugar addicts) and this recipe fared extremely well. I amended this recipe quite a bit (to accommodate no dairy and no fructose other than naturally occurring fructose in the fruit) from the book Gluten Free Baking by Michael McCamley. Preheat the oven to 180C (350F). 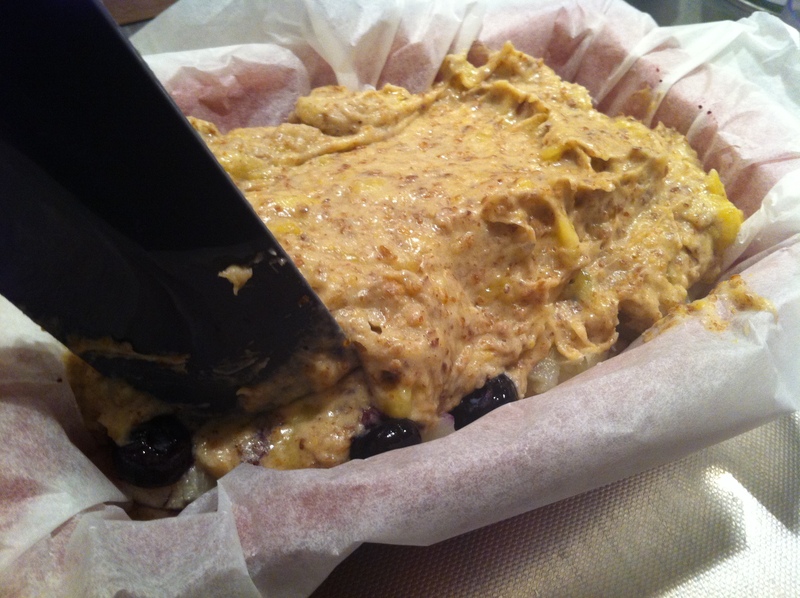 Grease a loaf tin or line with baking sheets. Melt the coconut oil in the microwave and let it cool down (if you don’t, it will cook the eggs!). 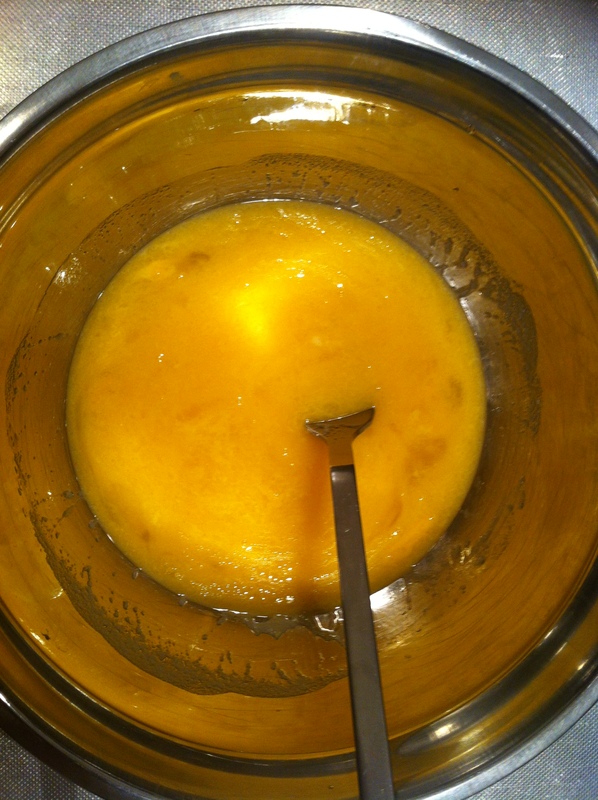 Then you add the eggs and vanilla essence and mix with a fork. 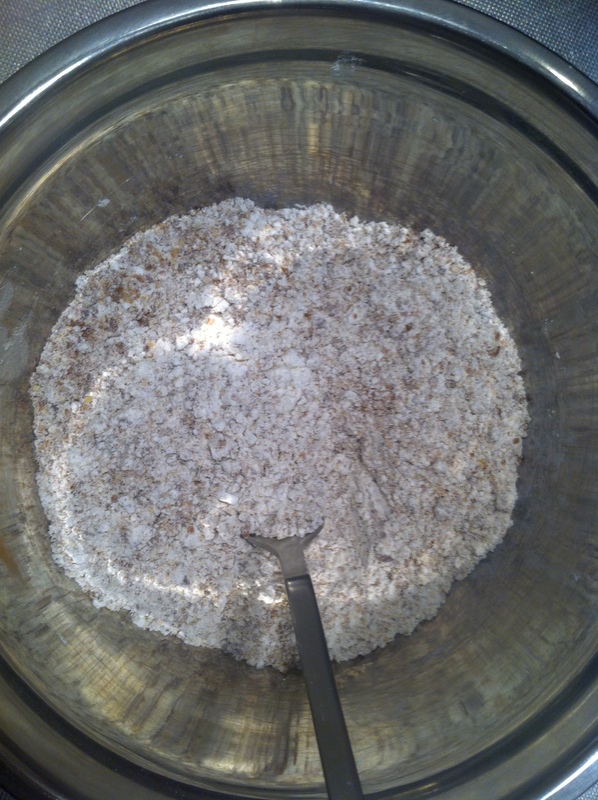 In a separate bowl measure out the flour, baking powder, bicarbonate, xanthan gum, linseed, salt and cinnamon and mix. 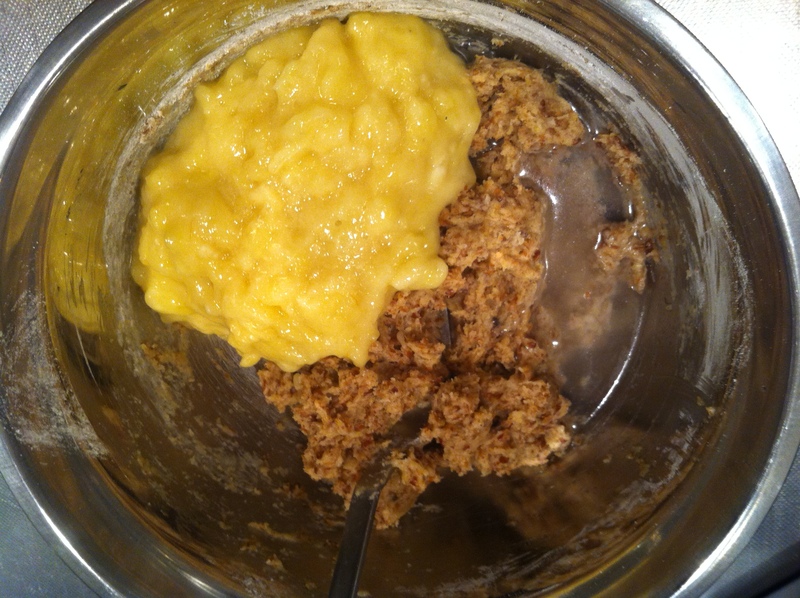 Then add the dry mixture to the egg mix and combine. 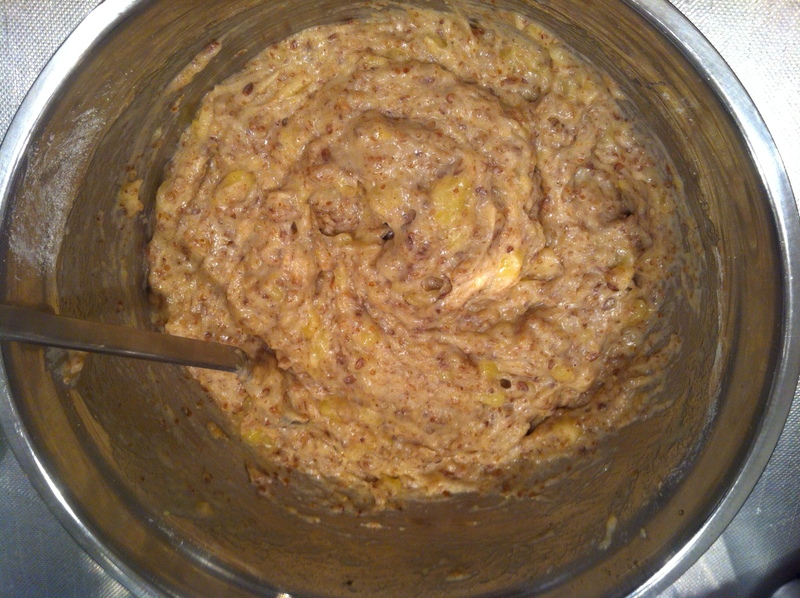 Then add mashed banana and water and mix well. 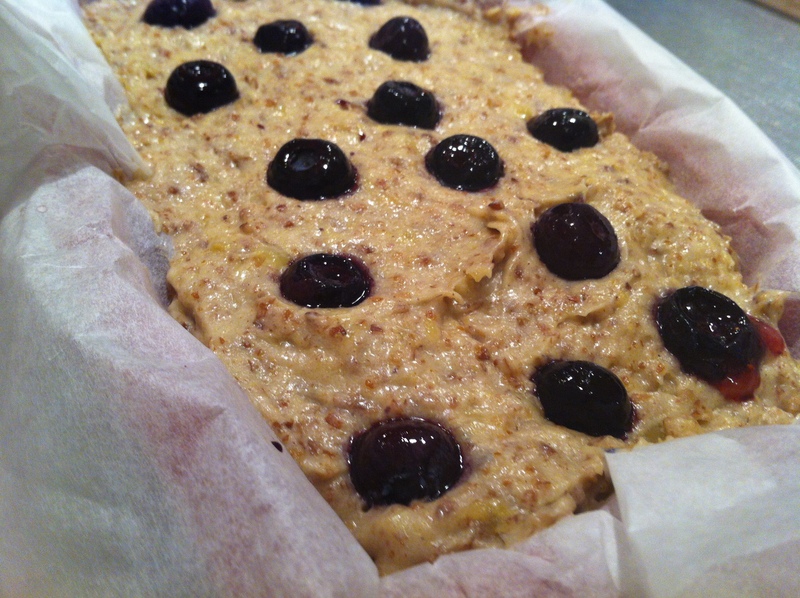 Now you spoon half of the mix into your loaf tin. Then spread out the diced pear and 3/4 of the blueberries over the mix and pour the rest over. Then add the last blueberries. Bake in the oven for approximately 1 hour and 15 minutes. I didn’t cover with foil so mine turned out quite brown – next time I will cover 30 minutes into the baking time. I also was baking quite late and pulled it out the loaf tin a bit premature so it spread out a little afterwards but still tasted delicious!